There’s no doubt that every pet owner has a special bond with their fur baby and although we’d love to spend every waking hour in their company, in reality we have to leave them for periods of time while we work, travel or pop to the supermarket. When we return home eager for a kitty cuddle it can be hard to know if our felines even noticed we were gone. 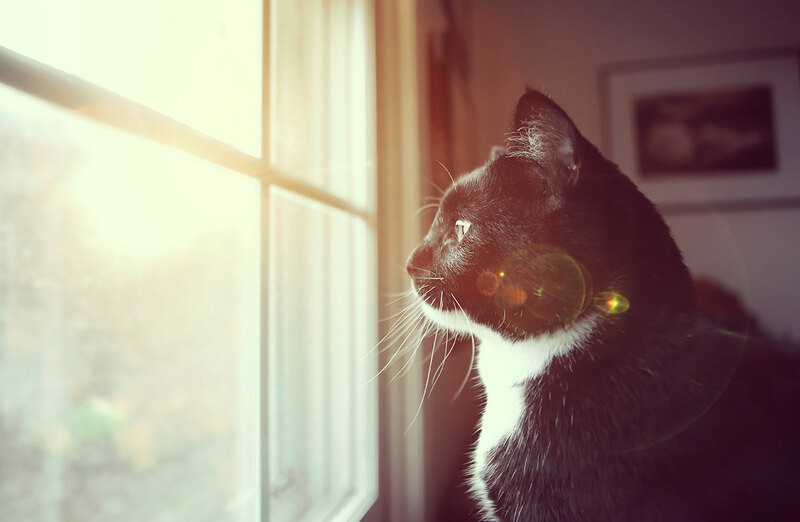 Cat behaviour is varied, mysterious and fascinating, which is part of what we love about them, so how can we tell if our cat misses us? Genetics – our cats each have their own personality traits, which is what we love about them. Despite their independent nature and lack of “neediness” some cats show signs of stress and agitation after time apart from their human. This suggests that, although I’m sure they wouldn’t admit it, we are an important part of our cat’s social environment. Cats rest for an average of 15 hours per day https://uk.frontline.com/why-do-cats-sleep-so-much?d=blog. If this is part of your cat’s daily routine during the hours you’re out, it’s unlikely they’ll miss you if they’ve been snoozing. Like us, cats need to be stimulated, so access to the outdoors, or toys to play with indoors can help keep them amused while they are on their own. An educational service from Merial Animal Health Ltd, makers of FRONTLINE. Further information available from Merial Animal Health Ltd, RG12 8YS, UK. ©2018 Merial Animal Health Ltd. All rights reserved. Merial is now part of the Boehringer Ingelheim Group of Companies. Date of preparation: Sep 2018. PE2654.